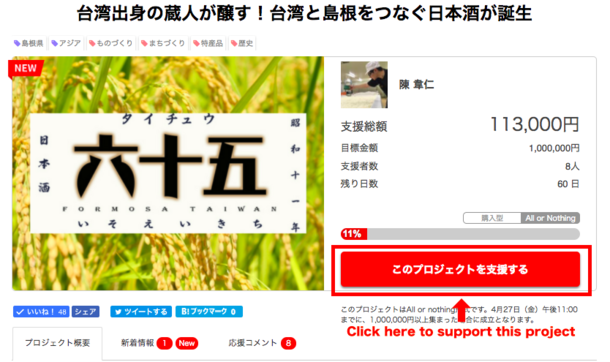 One you see the interface below, please choose how much to pledge. 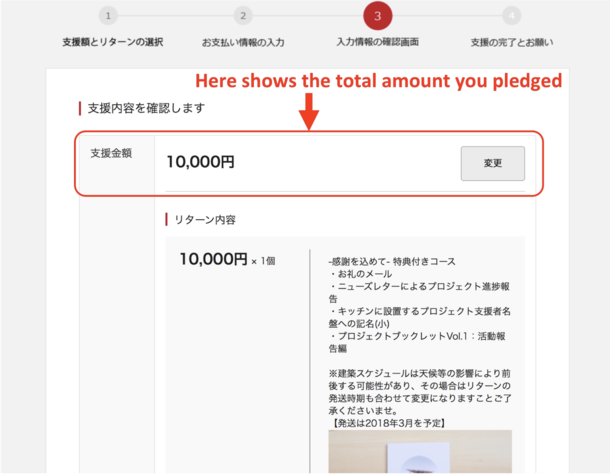 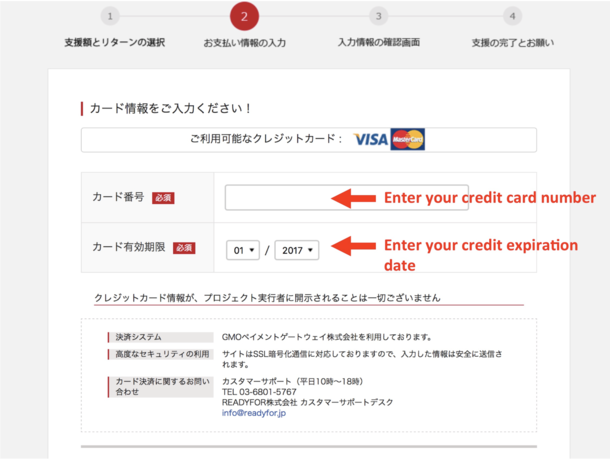 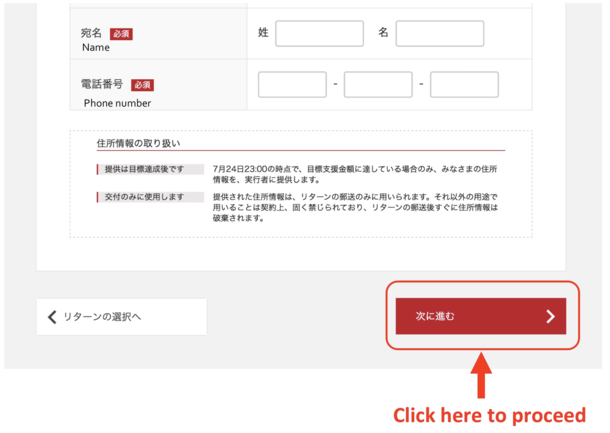 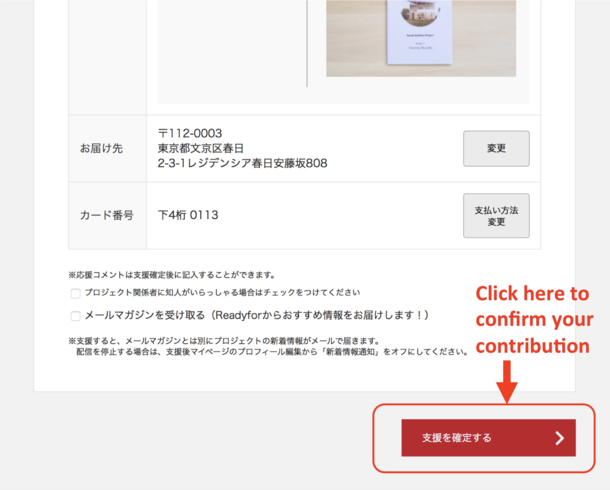 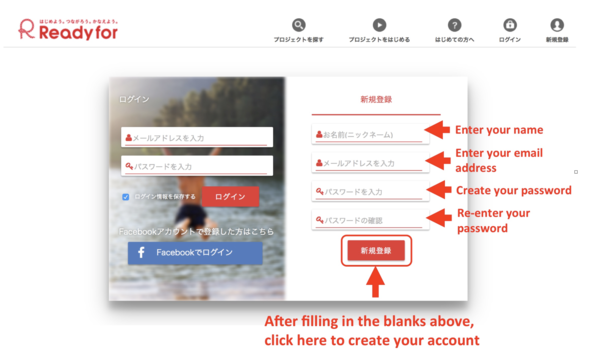 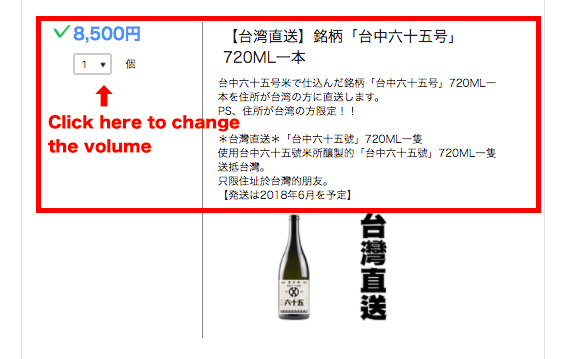 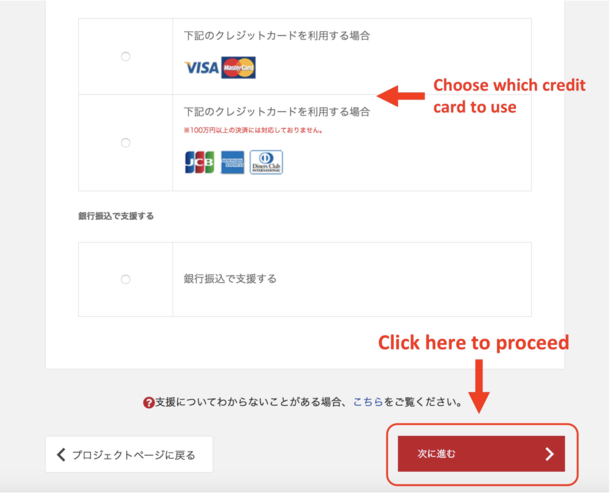 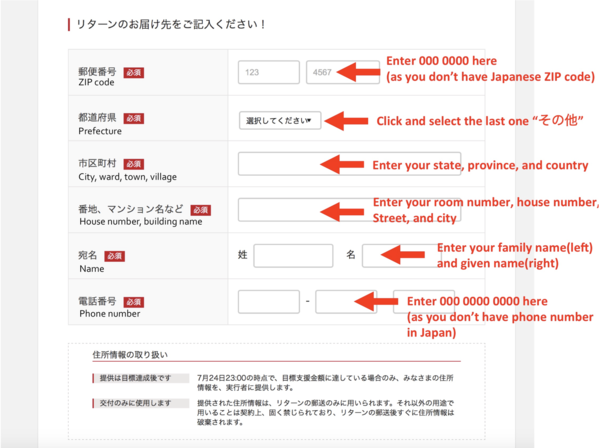 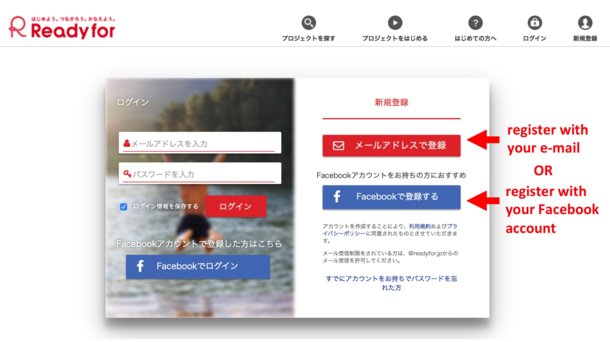 You can select from 5 different courses of 5,500 yen, 8,000yen, 85,00yen, 10,000yen, and 20,000yen contribution by changing the volume button below the prices. 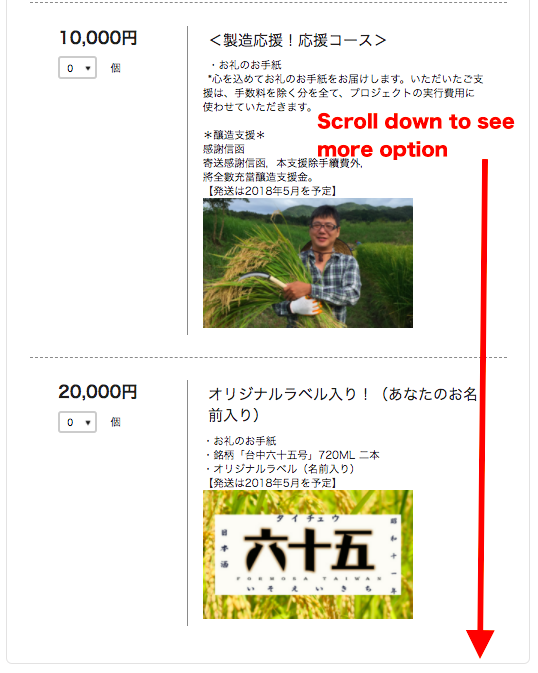 ※If you are in Taiwan, you should choose the course of 85,00yen which is for people who live in Taiwan. 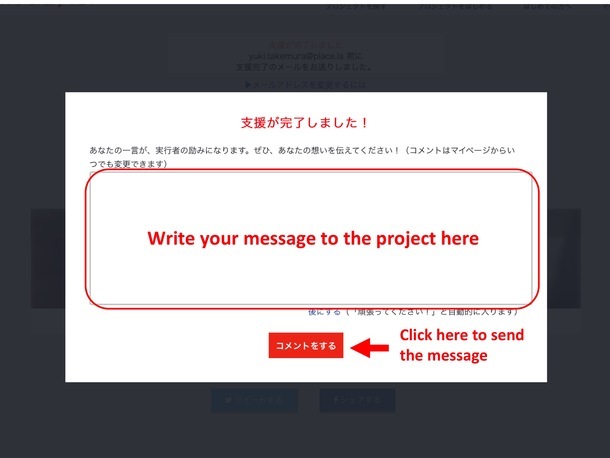 Once you send the message you are done with your process to support the project.